A new set of data, the 1925 Valuation Rolls, have just been launched by ‘Scotland’s People’. This set of data, which is free to search once you have registered and logged in, sits alongside other valuation rolls for the years 1875, 1885, 1895, 1905, 1915 and 1920. So what do the Valuation Rolls tell us? 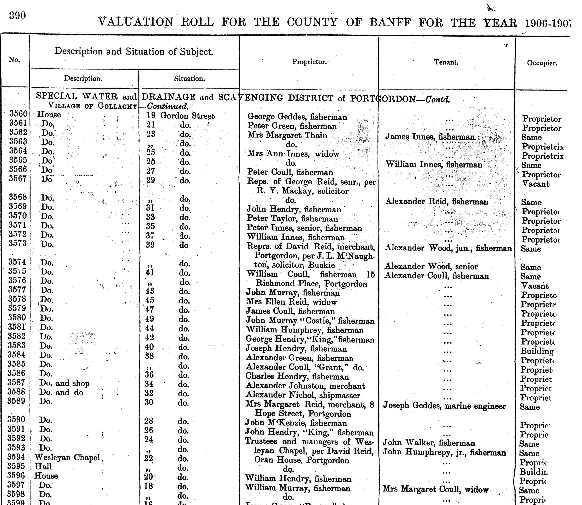 The Valuation Rolls are a public record that assesses the value of each occupied property in Scotland in 1925. This gives an invaluable insight into life just after World War I when there is little other source of population data readily available. So if your ancestor owned or occupied property in Scotland, you may be able to use the rolls to find out more about their lives. The record will tell you the name and designation of the owner of a property, whether they were a tenant or an owner occupier and the annual rateable value. In some instances it will also tell you the occupation of the person. The Workhouse System was a radical solution to a problem of immense scale in mid C19th Britain. Tory landowners and Whig economists for once voted together, anxious in the face of increasing revolt and disturbances to preserve their respective positions.